While we love our trusty big-name beauty products, there's something thrilling about discovering an under-the-radar makeup brand on Instagram. As the co-founder of Indie Beauty Expo, celebrity esthetician Jillian Wright has made it her business to scout on-the-rise beauty companies from around the world. Tough job, right? Founded in 2015 by Wright and entrepreneur Nader Naeymi-Rad, the IBE began in New York and expanded to the west coast in 2016; this year marked IBE's second Los Angeles expo. "We were blown away at the originality and innovation of the brands at Indie Beauty Expo LA this year," says Wright. "No matter where you turned, there was something to discover. The brands really brought it at our LA show, which makes me even more excited for iBE Dallas in May and NYC in August." So how does Wright find some of the hundreds of unknown brands to showcase at IBE? "It sounds simple, but often through social media," she admits. "I love to flirt with brands on Instagram." Now that we know all about the wellness trends to expect in 2017, we've asked Wright to reveal the top trends the expect in the independent beauty space. Below, see the top trends she spotted at this year's expo along with the best new indie beauty and skincare brands to add to your radar right now. What are some innovative trends you've noticed in the independent beauty space? One of the trends I’m noticing are interesting ingredients. Honey is going to be big in 2017, with brands such as Clover and Bee and ULIV. ULIV Golden Chai Facial Soufflé’s primary ingredients are manuka honey and turmeric, formulated with a blend of essential oils that leaves skin with the most beautiful, golden glow. Some other unique ingredients we’re seeing are CBD-infused (hemp oil) face and body care, like products from Crave Skincare, and pistachio oil (which I’ve personally never seen in beauty before!) such as those by Pistache Skincare. They have a product called Boyfriend Body Butter that is truly the most decadent body butter I have ever smelled. It reminds me of my childhood when I would go to [East Coast restaurant chain] Friendly’s and eat pistachio ice cream — it’s heavenly! Green beauty is having a major moment right now. What were a few products and brands that stood out at the expo? We see a lot of clean beauty brands at iBE and it's a space that continues to grow and improve each season both in performance and packaging, which is really exciting to see. A great example of this is Amazonia: a skincare line that uses natural, top-of-the-line, anti-aging ingredients and has really stellar packaging. Speaking of great packaging, The Village Common is a handcrafted fragrance line that truly has some of the most beautiful packaging you’ve ever seen. What were a few of your top and local and global beauty discoveries? In the color cosmetics space, one of my favorite discoveries was Cle Cosmetics Melting Lip Powder. Upon application the powder turns into the a gorgeous long-wearing lip tint. Cle Cosmetics was only one of the amazing Korean beauty brands who exhibited at iBE and while Korea has been on the cutting-edge for a while now, it was really exciting to see innovative [international] brands emerging from other markets such as Luxe Botanics from Singapore and NNNY from Japan; [just one standout U.S. brand out of many is] Honey Girl Organics from Hawaii. There are so many brands across the globe who are making waves in indie beauty, and it’s always a huge thrill for us to bring many of them together at iBE. What other beauty or skincare category do you see growing? The men’s grooming space is really emerging this year. It’s no longer only women who are seeking top-quality products. Brands such as Guise Etiquette, Big Boy, and Evolution Man are filling this void by providing luxurious, high-performing products that were developed specifically with mens’ care needs in mind. What were your favorite beauty devices and tools at this year's iBE? We saw some really cool beauty devices at iBE this year. 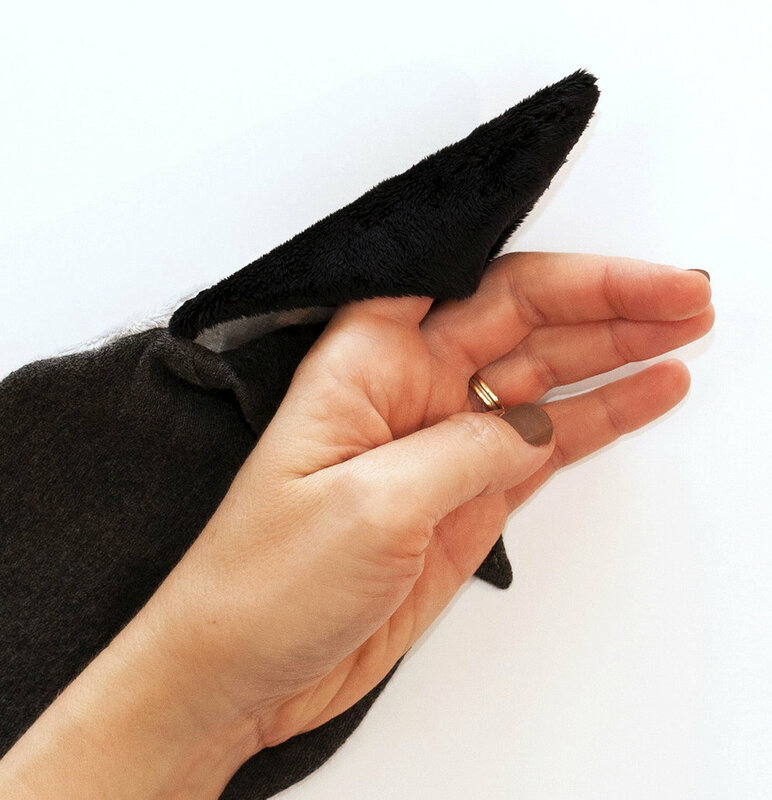 Take My Face Off created makeup removing mitts called “The Mitty” that are made of luxurious textiles and are super gentle on the skin. They’re also environmentally friendly, eliminating the need for cotton pads. Have you heard of any of these beauty and skincare brands? Tell us in the comments below!